This week the Horror Duo share their thoughts about a pair of films that have been donated to them by regular listener and filthy animal Anomalous Host. Forest discusses Brain Dead, a trippy paranoid film about madness starring Bill Paxton and Bill Pullman. 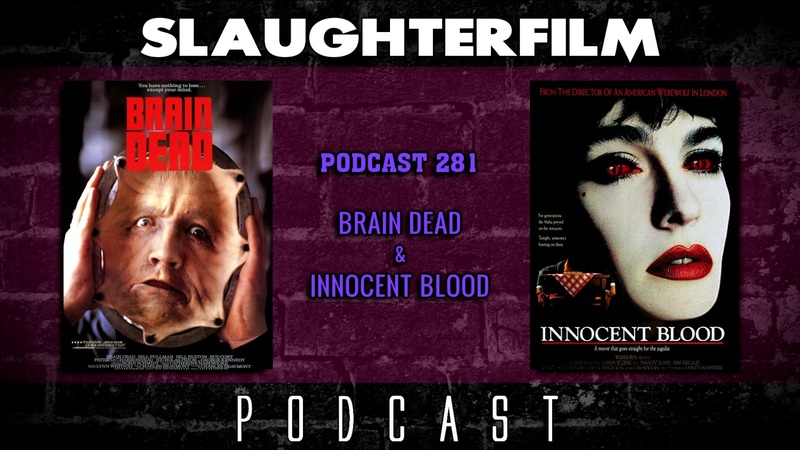 Cory dives into the mind of John Landis while reviewing his 90's vampire/mob flick Innocent Blood. They also chat about Jigsaw, the latest installment in the Saw franchise, making "Oscar Bait: The Movie", and what is to come with the returned popularity of Stephen King properties. All this and Cory shares an instance when he was deeply and irrevocably assaulted by a sleazy man-nerd. For more Slaughter Film news and reviews, as well as show notes and special events, make sure to visit our website; SlaughterFilm.com.